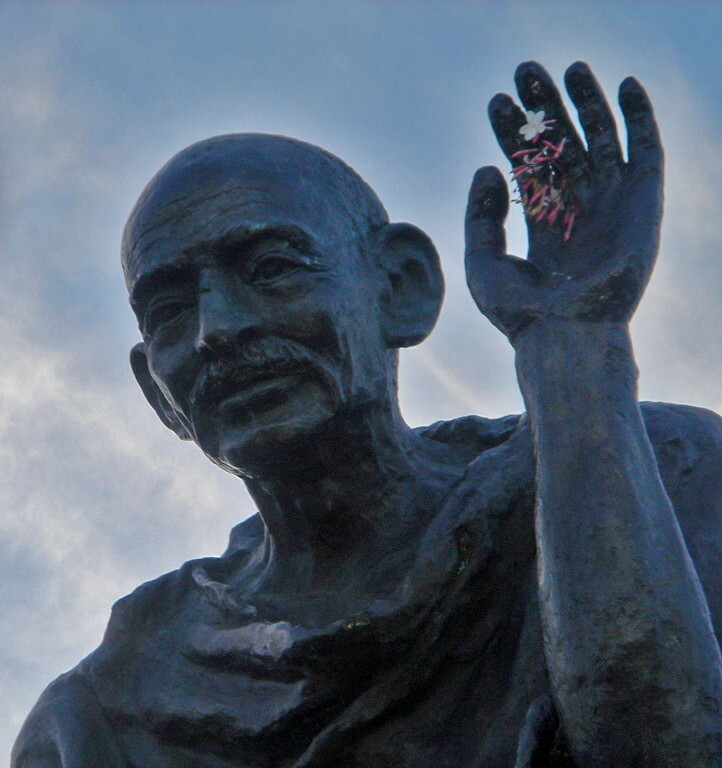 Today is Mahatma Gandhi’s birthday, and in homage to his philosophy and strategy of non-violence, the UN has marked it as the International Day of Non-Violence. In India, the countdown has also begun for 2 October 2019, the target date set to attain the Swachh Bharat or Clean India Mission (SBM). The SBM has the noble intention of making India ‘open defecation free’ (ODF) and millions of low-cost toilets are being built across the country towards this aim. But, to achieve the ODF mission, the easy part seems to be building the toilets. Recently in India, it was reported that some unscrupulous officials in states like Rajasthan and Madhya Pradesh were photographing women defecating as a shaming strategy. A male activist, who protested in Rajasthan, was lynched according to eye witnesses. How had the SBM which had been initiated on 2 October 2014 to pay tribute to the pioneer of peace, descended into such mayhem in these states? The answer lies in understanding the dynamics of nudging vs. shaming as a policy pathway. In the late 1990s, a development consultant named Kamal Kar proposed a novel pathway to attain ODF state that came to be called the Community-Led Total Sanitation (CLTS) approach. It was revolutionary in the sense that it moved away from the provision of subsidies to incentivise toilet construction and instead proposed community level discussions as the more effective policy instrument for behavioural change. CLTS involved triggering of repugnance and shame through self-appraisal and analysis of open defecation. In 2008, Kar published ‘The Handbook on Community Led Sanitation’ in partnership with the economist Robert Chambers, detailing the techniques of shaming as a nudge strategy to achieve ODF. International bodies like the Water and Sanitation Program of the World Bank, Plan International, UNICEF, WaterAid, World Vision, etc. 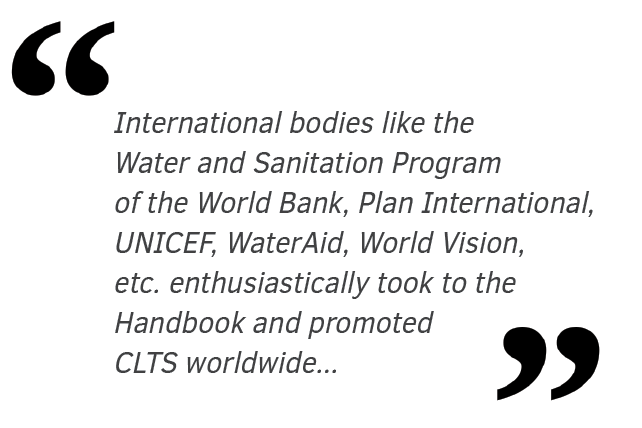 enthusiastically took to the Handbook and promoted CLTS worldwide — encouraging governments to make it a cornerstone of their national policy. On the other side of the world, also in 2008, Richard H. Thaler and Cass R. Sunstein published another outstanding book entitled: “Nudge: Improving decisions about health, wealth, and happiness”. Though not at all their main purpose, it provided a very sound economic rationale for the success of initiatives such as the CLTS. Thaler and Sunstein argued that the choices of economic players could be influenced and changed through the installation of appropriate triggers in the environment without changing the expected reward (or loss) structure associated with the choices in the first place. This is distinct from the standard economic premise that human or organisational behaviour can be changed only by modifying the monetary payoffs structure or regulation. They also recognised shaming as a nudge, pointing out for example that while public health campaigns over decades had failed to make a dent on smoking, regulation to ensure smoke free zones, a mild shaming trigger, forced smokers to move away from the flock to smoke, and by so shaming, drastically lowered smoking. As research on nudge strategies increased, they began to be integrated into public health policies and national government strategies in the West notably in the USA and UK. In 2015, Obama called upon federal agencies to apply it in their programmes to improve public welfare with cost effectiveness. Last year, the President of the World Bank, Jim Yong Kim, vowed to name and shame the countries that failed to tackle the challenge of child malnutrition. Nevertheless, it is a major challenge to formulate empowering and effective shaming strategies. For instance, UNICEF and most Indian organisations, proudly welcomed “Mr.Poo” the star of the cartoon: “Taking the poo to the loo” as the SBM mascot. The cartoon features a music video that starts with the words: “first thing in the morning, what do I see / a pile of s*** staring at me.” It shows the urban middle class, not the poor, suffering the sight of crap on the streets, presumably deposited by the poor without toilets. Then a set of whizz kids put up a banner for a ‘poo party’ and lead the waste off the streets to a party playground and a large bejewelled Western style toilet. Since the UNICEF video shows only the suffering of the affluent, who have to bear the ‘externality’ of lack of toilets of the poor, its impact as a nudge strategy was simply to put pressure on SBM officials. 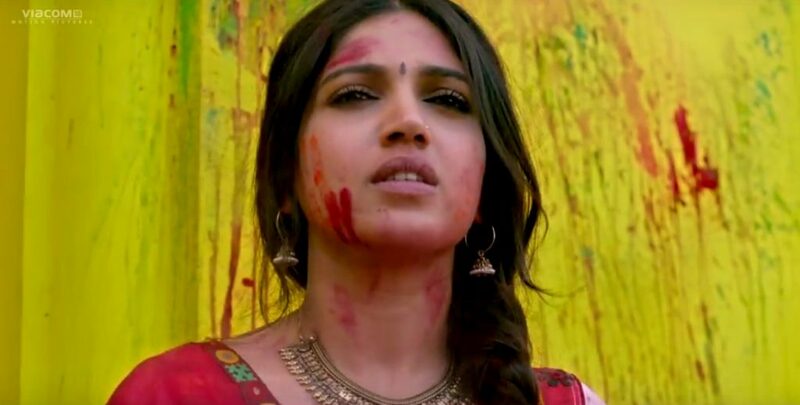 In contrast, Bollywood star Akshay Kumar came up with a wonderful nudge in the form of the film “Toilet: Ek Prem Katha” (Toilet: A love story) that captured the pulse of the people and became a box office hit. It narrated the story of a couple who fall in love and get married. However, when the wife finds that there is no toilet in the village, there is a major marital rift. To win back the love of his wife, the husband fights with village elders as well as corrupt politicians to bring about total sanitation coverage in the village. Thus, there is a need for more study to understand when and how shaming as a nudge can be effective or go too far. While most shaming strategies to trigger investment in toilet construction and usage are innocuous, unless there are clearly agreed upon norms, things can get out of hand. When implementing agencies move too far from values of social justice, chaos can happen. It is thus totally in the interests of the Indian State to immediately ban ‘shaming’ in any form — whether physical or moral harassment — as a means of implementing SBM. International agencies supporting CLTS also have to take note that unless the rules of its implementation are clearly defined, it can lead to chaos. 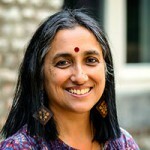 Prof. Shyama V. Ramani's research focuses on the relationships between technology, innovation and development, drawing on the evolution of biotech sectors in India and Europe as illustrative case studies.